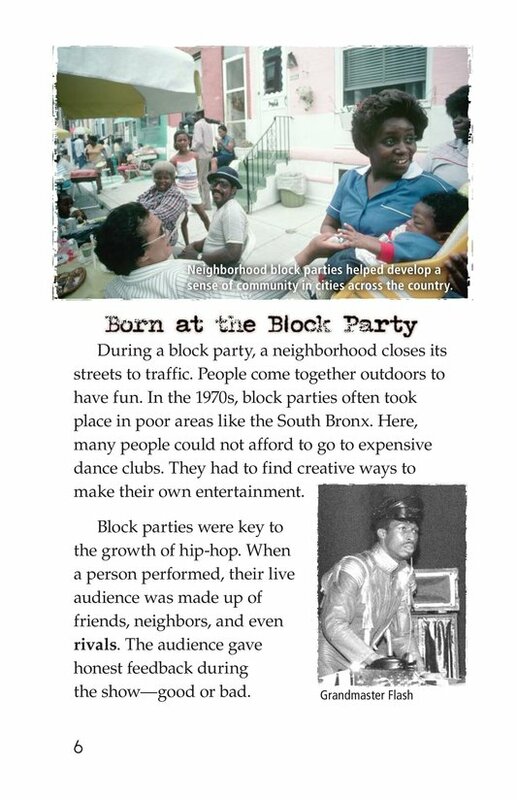 Rap music arose from the streets of New York City in the 1970s. 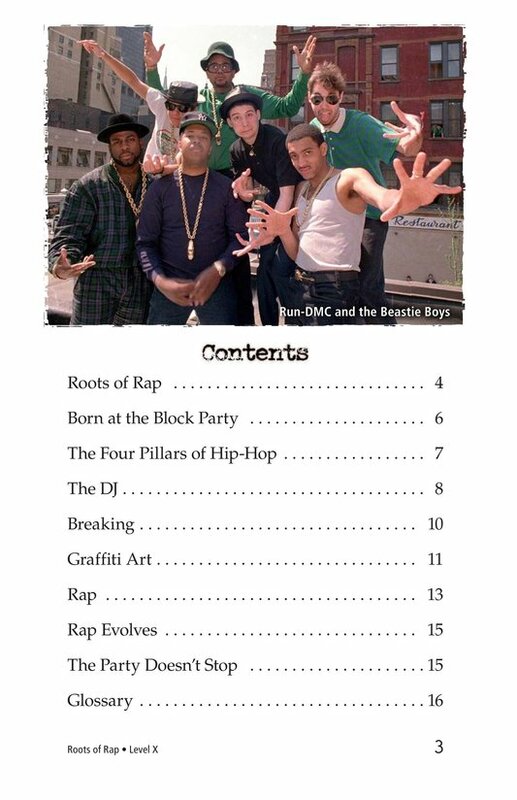 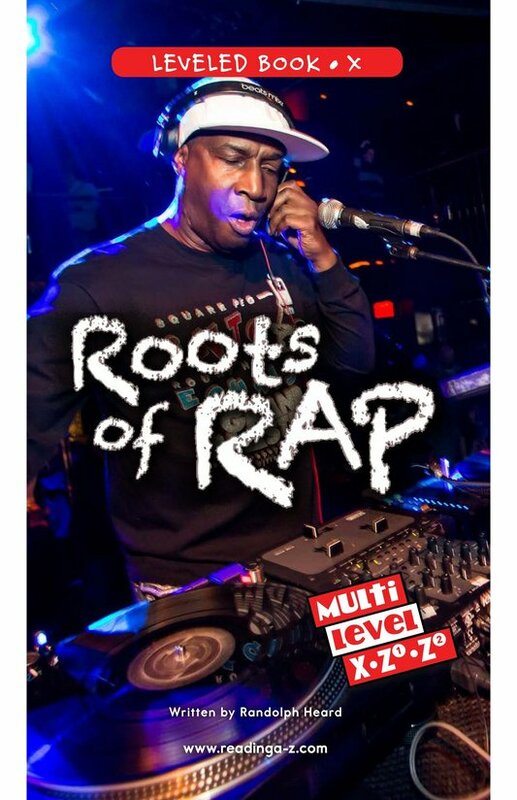 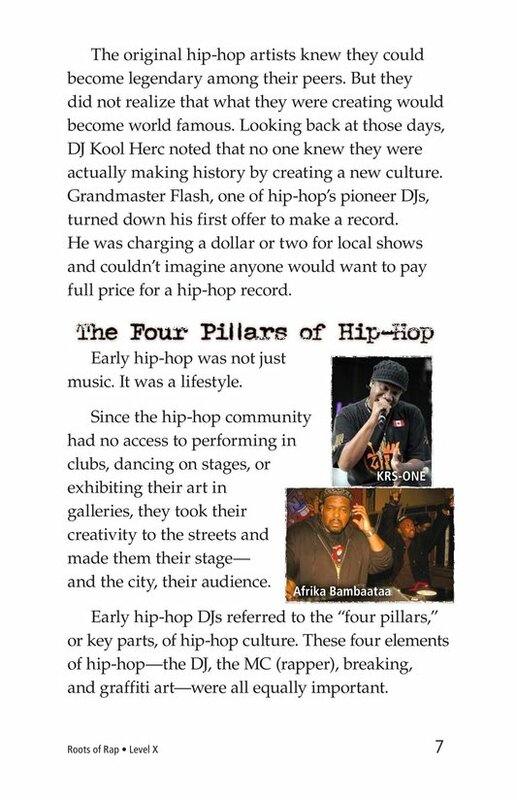 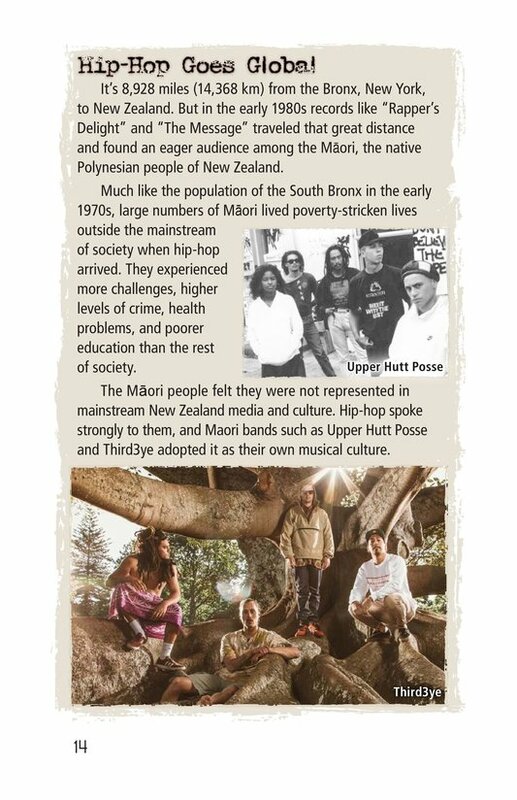 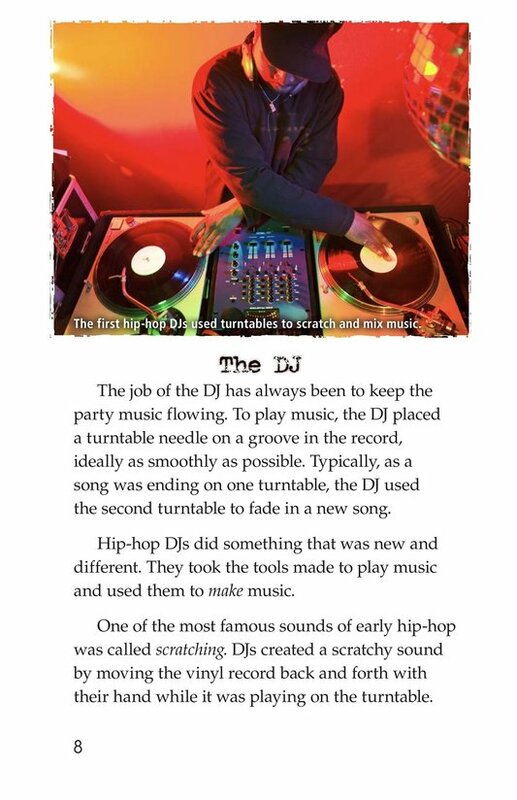 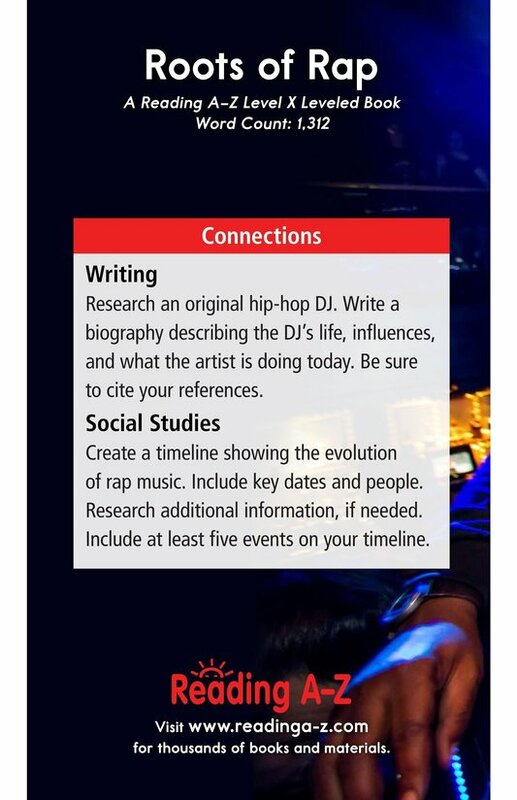 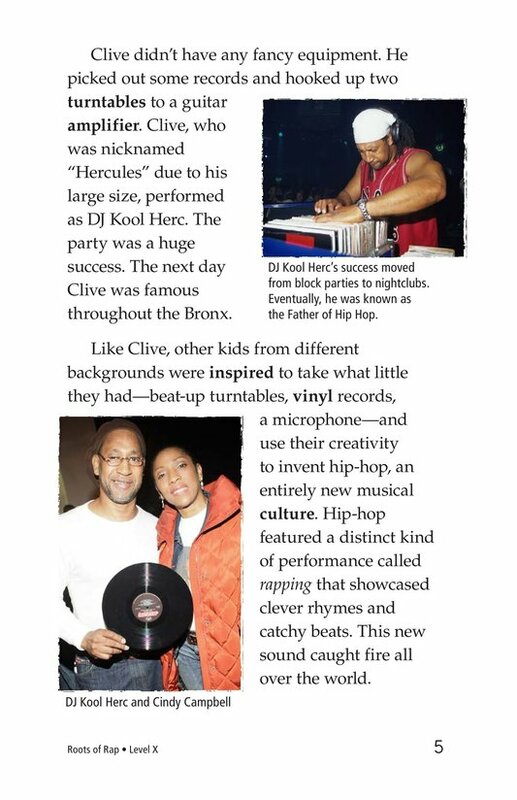 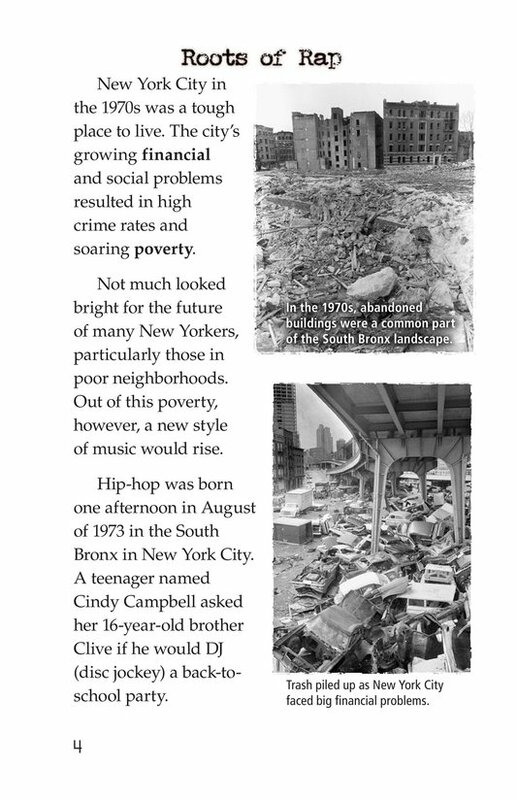 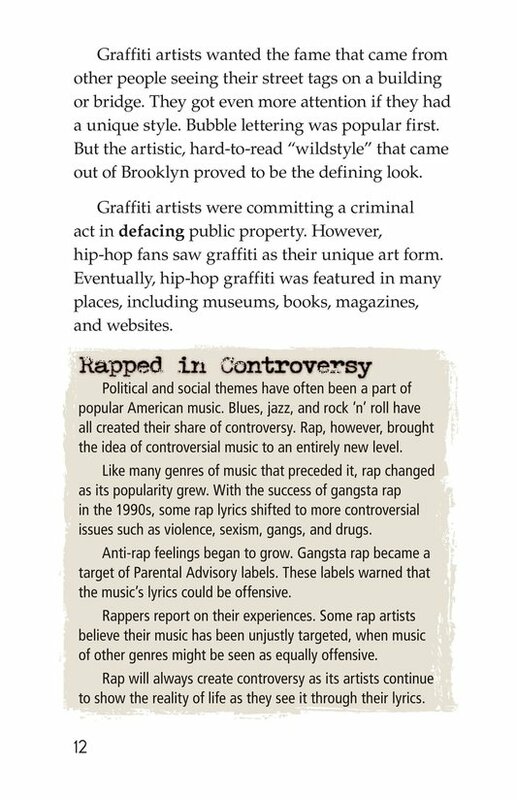 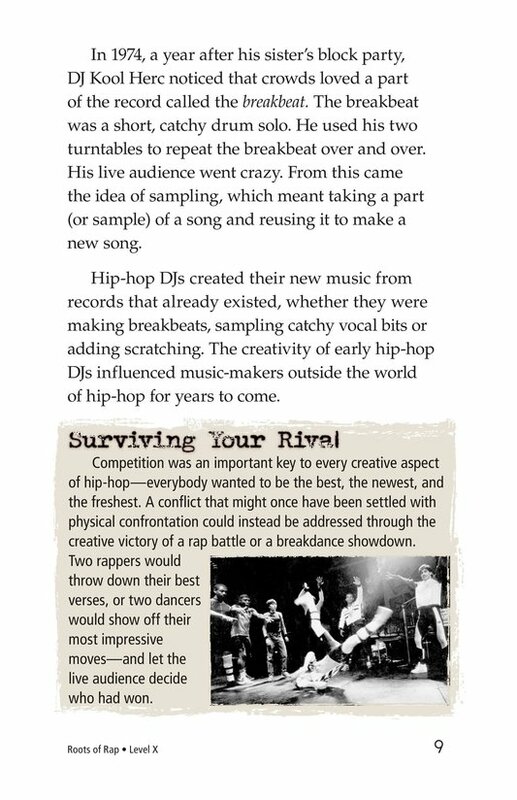 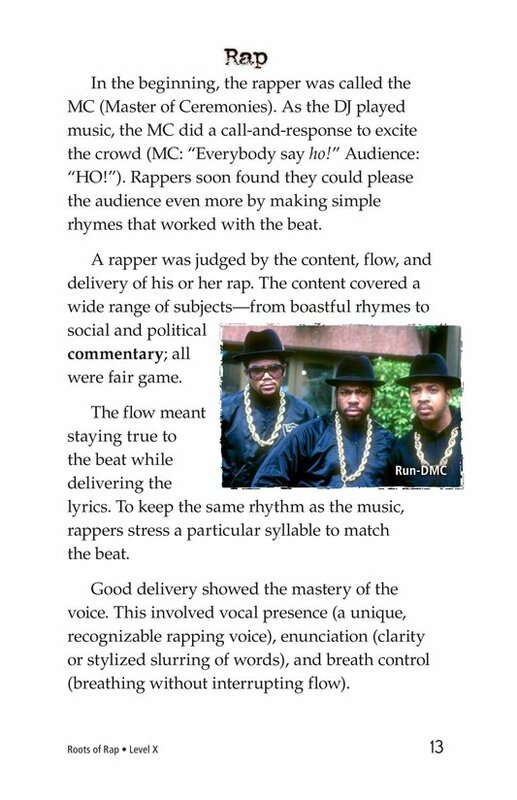 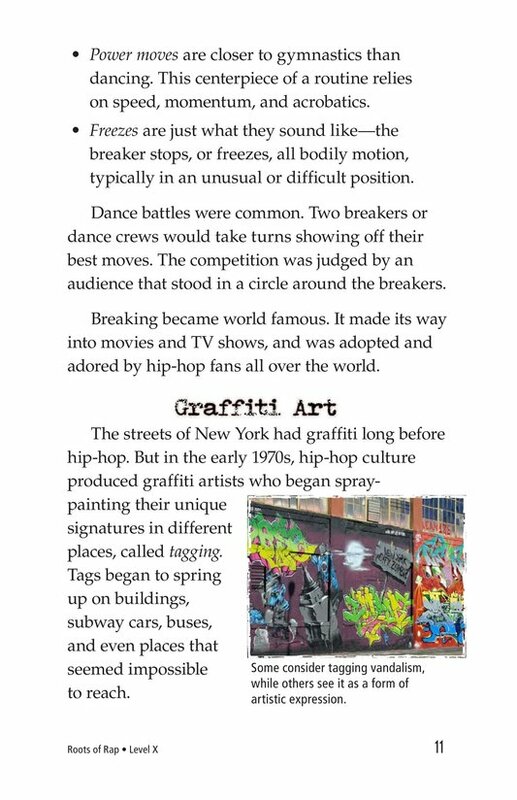 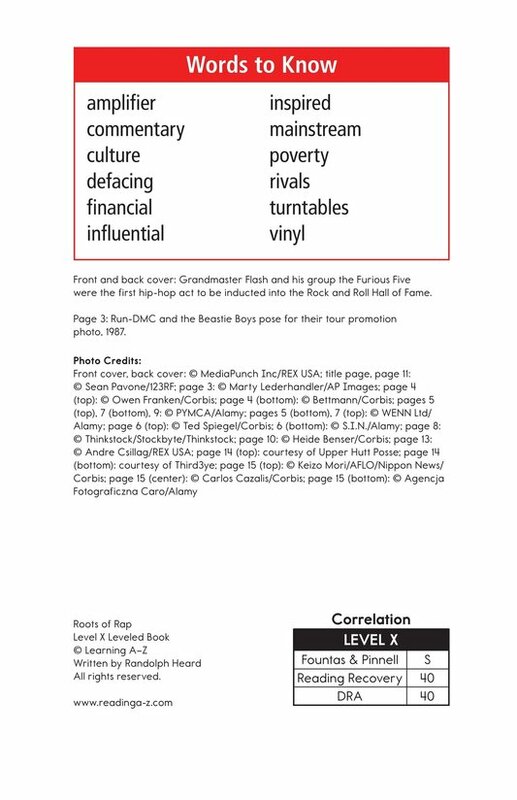 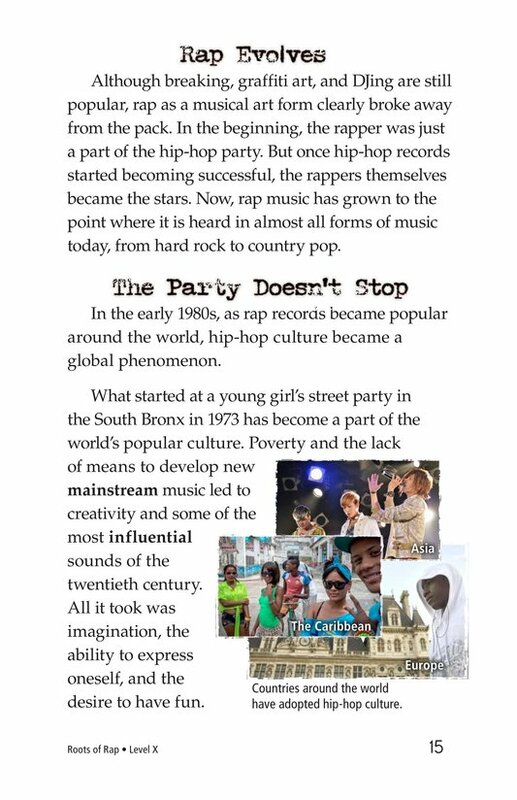 Roots of Rap guides readers through the early history of rap music: from its origin at a young girl's block party, to an explanation of the four "pillars" (key elements) that define hip hop. 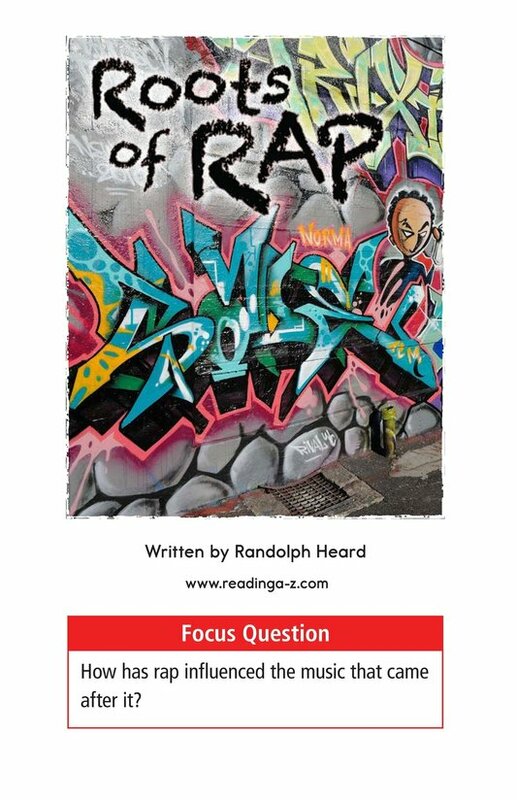 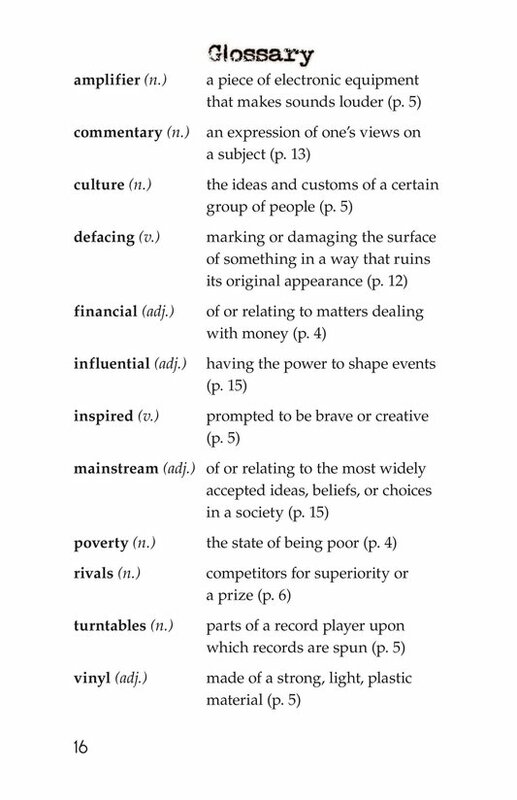 The book can also be used to teach students how to determine an author's purpose for writing and the proper use of dashes. 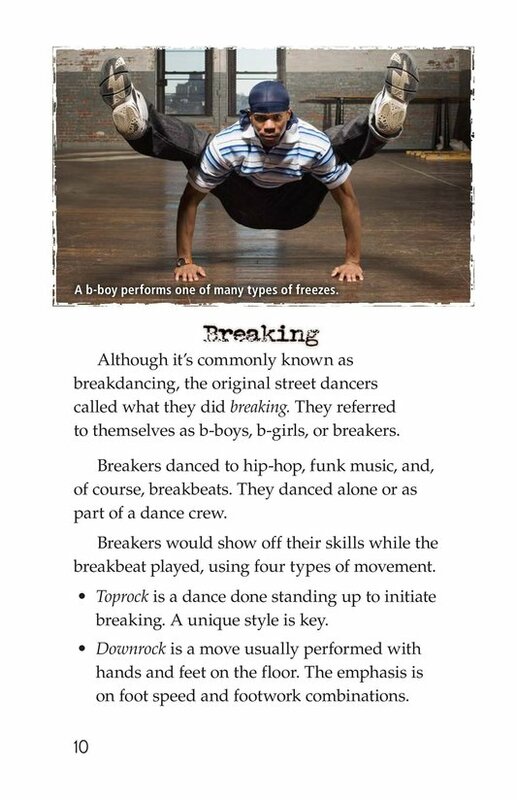 The book and lesson are also available for levels Z1 and Z2.